Cotton is the most used natural fiber in the world for the production of textiles and apparel. Nowadays, there are three different possibilities for cotton growth in the world: production of conventional, organic, or genetically modified cotton. Their influence on human health, due to the application of pesticides, is discussed. 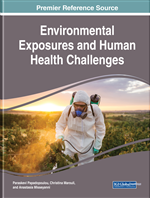 The influence of the pesticides on the environment, which, in turns, affects the human health through the water, soil, and food chain, is also discussed. The preferable cotton sector is presented, giving а chance to the customers of cotton textiles and apparel, and to assess the positive influence of the existing initiatives in the cotton field on the human health and the environment. Conventional (Non-Organic) Cotton: The most produced cotton crop in the world, which require the application of pesticides. REEL Cotton: The REEL (responsible environment enhanced livelihoods) cotton is an agricultural program run by CottonConnect. It is not necessarily organic cotton. Organic Cotton: A cotton crop, which is produced via organic methods and does not involve application of pesticides. e3 Cotton: This is sustainable cotton of Bayer CropScience. e 3 is not an organic cotton. The child labor is strictly prohibited. CmiA Cotton: This is the acronym for “Cotton Made in Africa.” It is not necessarily organic cotton. The child labor is strictly prohibited. Cleaner CottonTM: This is cotton produced within the Sustainable Cotton Project (SCP), which supports US farmers. It does not involve organic cotton and Bt cotton production. Fair Trade Cotton: Cotton, certified by a fair-trade organization: means that the cotton producers receive a fair price for their cotton yield. It is not necessarily organic cotton. BCI Cotton: The cotton is produced as a part of the Better Cotton Initiative (BCI). It is not necessarily organic cotton. BCI requires the use of minimum personal protective equipment for people, working with pesticides. It is “technology neutral” to Bt cotton. Genetically Modified Cotton: Known also as Bt Cotton, which is one of the two types of genetically modified cotton crops. It produces toxins, which kills some of the insects. Still requires the application of pesticides.